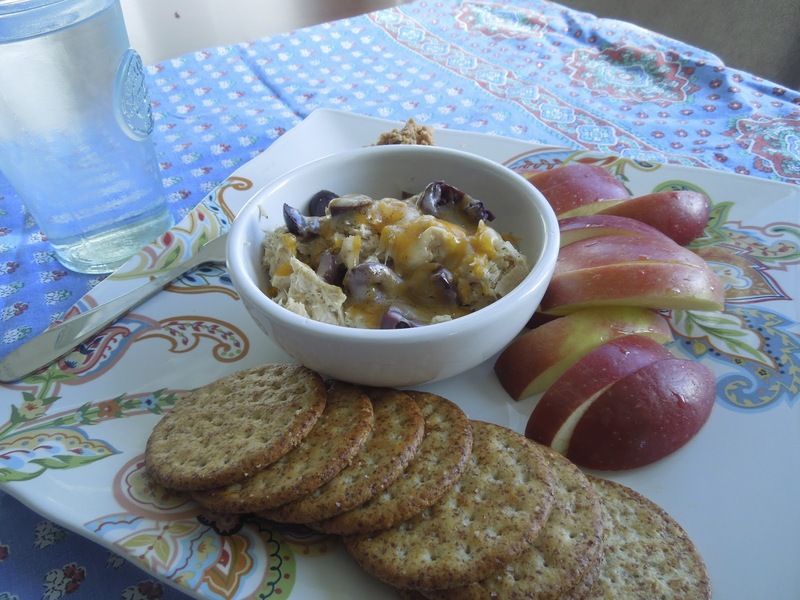 Quick lunch! 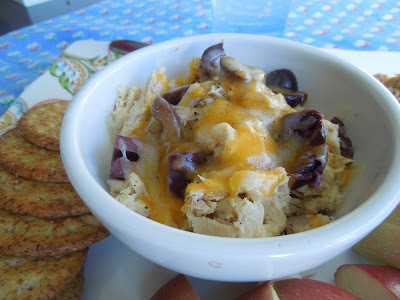 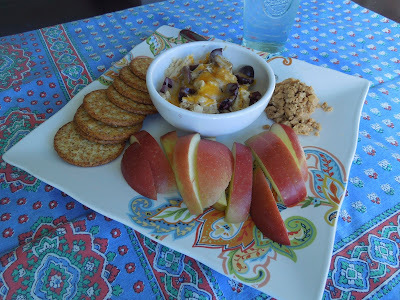 Tuna melt bowl with olives and crackers, and apple with peanut butter. Yummy!